The Adventures of an Intrepid Reader: Back to school...and work! So that's about it really for my holidays. Back to school (yay) and to work tomorrow! I don't think I am really ready, but I think it is always a bit of a struggle. For me, it also means back on the trains so I am hoping that the temperature stays down so that I am not left stranded on the platform like so many of my fellow commuters have been in the last week. As you may know, I had a list of things that I wanted to get down during my two weeks off. I managed to get most of them done, although I left a few of the bigger ones for the second week, which didn't work out too well given the heat. Clean out fridge and freezer, including behind and on top. Empty at least one of those boxes that has been there since I moved house. It will be a pleasant surprise to see what I find I am sure. Reorganise craft table with an eye to getting reinspired into making some things. Tidy up. This took four days last year. Hopefully won't take as long this year. In addition I played more table tennis than I can possibly think about, watched loads and loads of Australian Open tennis, went to the movies, watched a few movies at home, had a manicure, went out for dinner, had friends and family over for dinner, went bowling, listened to some music, so while it the same as going away somewhere, we still had a fairly pleasant time. The only thing is that as I return to work after thinking that I have been at home for two weeks you would think that I would be all caught up with everything. Unfortunately that isn't the case. At the moment I have over 2000 posts to read in Bloglines, I didn't manage to post a single review, I haven't done the awards post that I really need to do, and I only read a couple of books. I didn't even manage to visit one of the forums that I am a regular at in the whole two weeks. Never mind! I did however do a couple of other things that I have been meaning to do for ages, including doing a backup of my documents etc on the computer, prompted by the fact that I couldn't turn my computer on this morning. I am hoping that it isn't the beginning of a downhill slide, although the computer I have is almost 5 years old, so it's possible. Another big thing to get done is that I did my resume this week. I have been talking about getting my resume sorted out for about 18 months, if not longer, because the fact is that I love my job, as long as my boss isn't in. It is also not a practical job given the fact that I have 3 to 3 and a half hour of train time every day - that equates to at least two full days of travel time every week. I would love to get a job closer to home but the likelihood is remote, so I might just have to go into the city, but at least it would be only one train then. Who knows. I might still be in the job in 3 years time, but at least the resume is done so if there is something interesting that comes up, I am ready. My next door neighbour asked me the other day if he minded if he took out a plant that is on my side of the fence, but grows onto his side. It looks nice but it has huge spikes on it that are pretty darned sharp, so he is going to take that out for me (well for him) but I don't have to do it, but I thought that I should clear out the path at the side of the house so he can get to it, so even though I didn't do all the gardening that I had on my list, I did do some! I have to say, I don't know how people find gardening therapeutic. Feels much too much like hard work to me! I agree with you on the part about garndening being hard work. When we plant flowers for our customers believe me its not easy work. Neither is putting in new landscape plants for them. 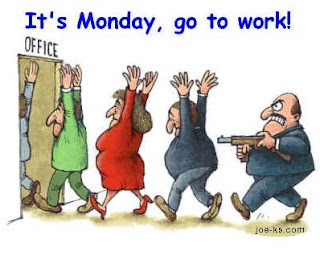 Hope you work week goes well. Sounds like you had a busy vacation. I always felt I needed a vacation from the vacation. Hope you don't have many more of those horrible heat days. Has it really been 2 weeks already? Wow, that went fast for me and it wasn't even my vacation. I'm glad you got a lot of your stuff done even though you didn't get it all finished. It's more than you had done before right. I hope your first day back at work will be ok-I know all about bosses who make work no fun. i think you make much more progress on those things than I would have...i hate cleaning!